Advanced Physical Therapy Center, P.C. is a physical therapy, occupational therapy, and sports medicine clinic dedicated to providing cutting edge therapy techniques and personalized, one-on-one care programs. Since 1991, Advanced PT has distinguished itself among the providers in Grand Blanc, Flint, Clio, Hartland, Goodrich, Clarkston, Davison, and Waterford. Our goal is to develop customized rehabilitation programs that get you back to work and play fast. We have state of the art, hands-on techniques and tailor-made exercise programs delivered by highly trained, compassionate therapists. We focus on getting RESULTS! Thank you for considering us for your rehabilitation team. 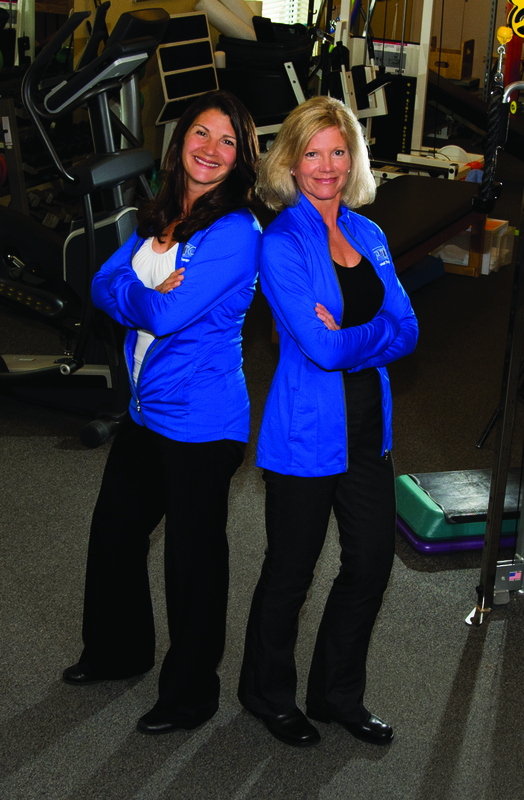 Owners, Linda Gibbs, PT, and Kim Turner, PT, CHT. When you are a patient at Advanced Physical Therapy Center, you can expect to be greeted with a smile each and every time you come to your therapy appointments. We have tried to create an atmosphere that is warm and welcoming. The therapists and staff will do their very best to get you RESULTS and provide the quality care that you deserve and doctors trust. Your initial evaluation/treatment will take approximately 1 ½ hrs. Each therapy visit, depending on your condition, typically lasts 1 hr. Usually, patients are prescribed therapy for 2-3 times a week for 3-4 weeks. Our therapy clinics consist of therapy teams. You will be seen by a licensed therapist, a licensed therapist assistant, and therapy aides/gym assistants. You can expect to see your therapist on each visit. We have Patient Representatives at each clinic who work as “patient advocates” and are there to answer any questions you may have about your rehabilitation.